Hansen avoided jail time, was ordered to undergo alcohol treatment and was put on a year of probation in June for assaulting the driver after a night of drinking in Seattle’s Ballard neighborhood last year. 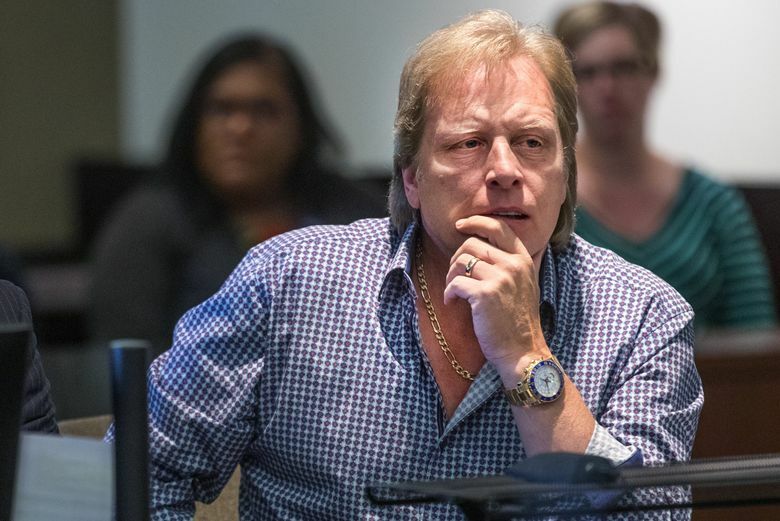 Celebrity fishing-boat captain Sig Hansen has paid an undisclosed sum of money to get an Uber driver to drop a lawsuit stemming from Hansen’s assault of the driver after a night of drinking in Seattle’s Ballard neighborhood last year. Hansen, 52 — the Norwegian-American skipper of the Seattle-based crabbing boat the Northwestern and star on the reality TV series “The Deadliest Catch” — declined to comment about the lawsuit’s settlement this week. Lawal’s assault-and-battery lawsuit emerged in August 2017, three months after the Uber driver’s encounter with Hansen and his family following a celebration in Ballard of Syttende Mai — Norway’s Constitution Day. Police reports say Hansen became angry with Lawal after the family’s ride home to Shoreline was canceled en route through Uber’s digital app, and Lawal stopped the car to inform the party to submit another digital-ride request and declined to accept cash for the ride. In response, Hansen and his son-in-law, Clark Pederson, became enraged and allegedly screamed and cursed at Lawal, threatened to beat him up, insulted him and spat on his car seat and in his face. Hansen then got out of the Kia Sportage owned by Lawal’s wife and allegedly kicked and dented the car, causing about $1,800 in damage, according to court records. Police arrested an intoxicated and combative Hansen at his home a short time later and he was booked into the King County Jail. Under a deal with city prosecutors, Hansen pleaded guilty to a misdemeanor assault charge in May. A judge later gave him a deferred sentence with no jail time, ordering Hansen to undergo alcohol treatment and stay out of criminal trouble for a year, among other conditions. The Lawals’ lawsuit had contended the encounter with Hansen and Pederson resulted in lost earnings, property damage, emotional distress and other damages. Lawal, 35 and a recent immigrant from Nigeria, described in court records being insulted, humiliated and “terrified for my life” during his encounter with Hansen and Pederson. Lawal also described how in the weeks and months afterward, he became so fearful, depressed and ashamed that he couldn’t work, sleep or study, and he contemplated leaving his family and the United States for good. Earlier this week, Hansen was dealt a legal blow in a separate civil case. On Monday, the state Court of Appeals denied Hansen’s appeal seeking to halt a separate sexual-assault lawsuit brought against him last year by his estranged daughter, Melissa Eckstrom. The ruling allows that case to proceed to trial. Hansen, who vehemently denies Eckstrom’s claims that he sexually assaulted her as a toddler decades ago, has said he will appeal this week’s ruling to the state Supreme Court.